The Domani’s view for 3 1/2 months. Nothing to see here folks! I love watching HGTV. Having been a General Contractor and dabbling in interior decorating, I have to say that I’m addicted to real estate and rehab shows. House Hunters, Fixer Upper, Addicted To Rehab, Property Brothers are all of my favorites. I guess that is why Jeff and I felt ok about purchasing an RV project. There is a certain thrill and satisfaction that comes from making something out of nothing. But I have to say, this project has been one of those labors of love that is often seen in rehabbing an old Victorian home along some of our countries most historical main streets. The old dilapidated, leaning home that people thought was a total tare down is resurrected into a magnificent showpiece, lovingly restored back to its former glory. Usually at a cost that exceeds what new construction would have run all in the name of love. 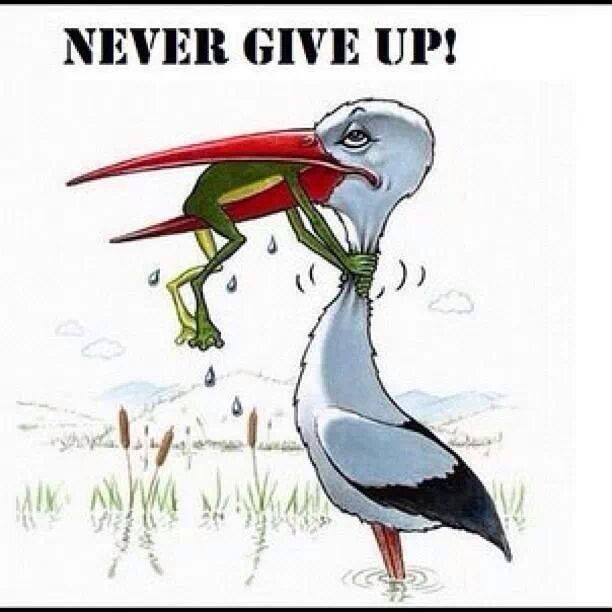 I think that is where we are at with our Domani. Damage only a mother could love! We should have probably taken a bulldozer to her the day the roof was pulled off. But she had bones, class and character that couldn’t be overlooked nor found in new construction. And now that we are nearing the end and we have had a chance to spend some quality time with our girl, she has made an impression on our hearts. She has become our labor of love! After 3 1/2 months of pulling our hair out restoration, it’s all finally coming together. And we couldn’t be more pleased with our home on wheels. Counter space: Every RV’er knows that countertops are a premium in campers. Though still small by housing standards, I have twice as much counter space than before. And, they are solid surface rather than plastic. Lobster Pot Sink: These sinks are popular in Airstreams. Frankly, I have not heard of too many people liking them. But me? I’m a fan! It’s deep, it’s wide and there is plenty of room to wash a pan without mopping the floor at the same time. Lobster pot sink…I’m a fan! Bedroom Door: It’s the simple things that contribute to happiness. Having a door that closes off the bedroom from your spouse watching howling piano playing puppies on facebook at 4:30AM is one of them. 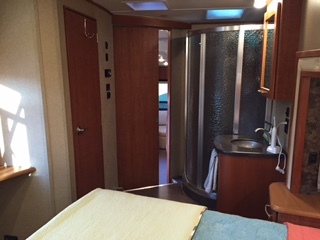 Open shower & sink, enclosed toilet: We have an open shower/sink area to the bedroom with an enclosed toilet closet. Jeff and I are both vertically endowed, so having a sink area that allows brushing our teeth without hitting our elbows feels palatial. Open bath, elbow room and a bedroom door. What more could a 6′ tall girl ask for! Closet & Cabinet Space: The Domani is only 32’ long so there was some bedroom closet space sacrificed along the front of the coach that typical 5th wheels have. But I do have a tilt out laundry bin and 24 upper cabinets in the living room/kitchen that more than make up for it. Full Length Mirror Closet Door: I didn’t know that I wanted a full-length mirror until I had one. It’s very helpful when you are putting on a t-shirt, shorts and flip flops to make sure that the fit is just right…. she says sarcastically! Storage Bay: Holy mother of storage! Jeff and I both could fit in there with enough room to roll around in. I’m thinking of turning it into my office. Larger Frig: Who doesn’t like more refrigerator space. Our frig now has an extra shelf over our previous frig, which is like going from an apartment sized refrigerator to a side-by-side. Big Windows: In the Domani we have lots of big open windows and skylights that let the light flood in. We removed the old smelly accordion blinds and are replacing them with MCD roller shades (more on that in the next post). The views are going to be great once we get this baby out on the road! Sofa and Two Chairs: Before, we had a jack-knife sofa which was adjacent to the kitchen. So when we wanted to put our feet up they ended up on the kitchen counters. (The multipurpose kitchen sink/ottoman). Now we actually have a sofa long enough to stretch out on and two very comfortable chairs. The space between the sofa and chairs is cavernous so no more footsies with Jeff while making dinner. 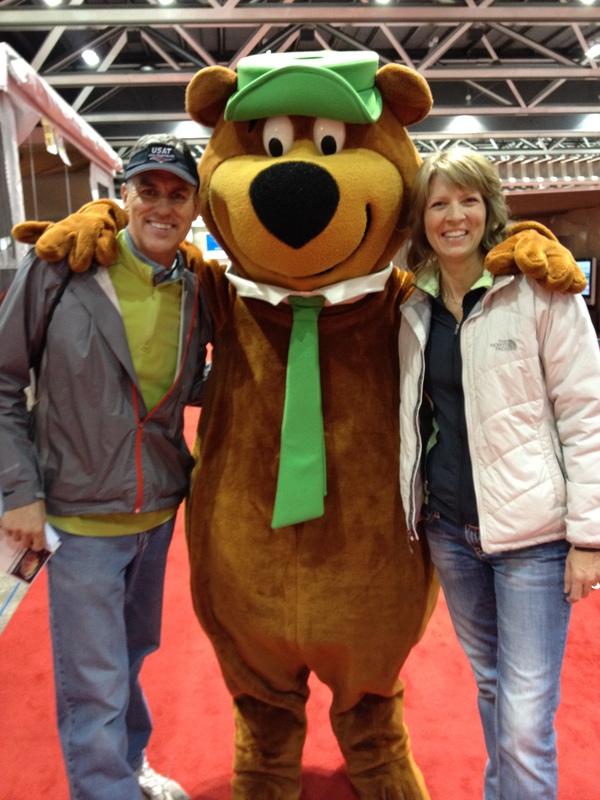 We are disappointed that we did not make it to Iowa for RAGBRAI this year. The repairs just kept us stationary a while longer. We have now moved on to the MORryde parking lot for a new hitch, basement slide out tray and new axles and will hopefully finish up here end of next week. 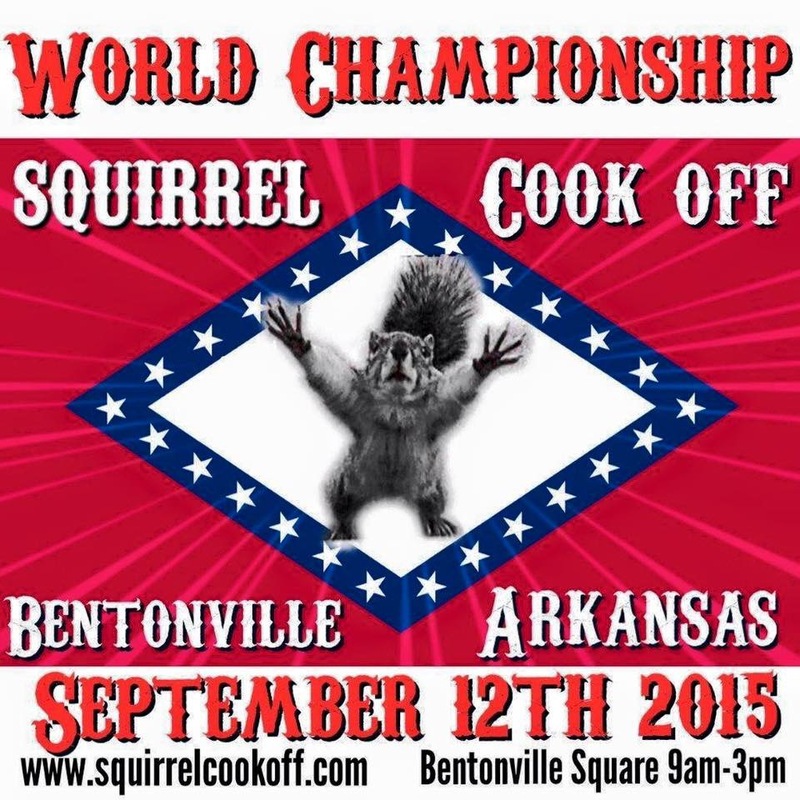 We have our sites set on getting our girl back to Arkansas for a wedding in September before heading out west for the fall and winter. It’s been a long time coming and we are itching to get on the road. I’ve booked our campsites for the Xscapers Albuquerque Balloon Fiesta and the Grand Canyon, both in October, which gives us some sense of hope that we will be rolling out of Elkhart very soon. We’ve kissed the frog and she has turning into princess charming. Now lets ride this thing off into the sunset! Finally out of that dang shop & riding off into the sunset MORryde’s parking lot. We’ve got a hot mess on our hands! 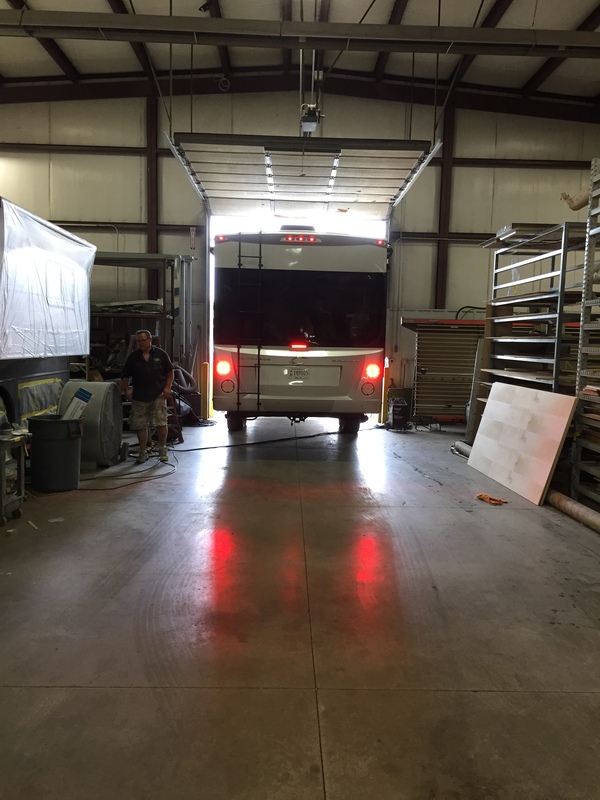 While in Elkhart last week we got our first look at the full spectrum of our repairs at MasterTech RV for our new-to-us RV. 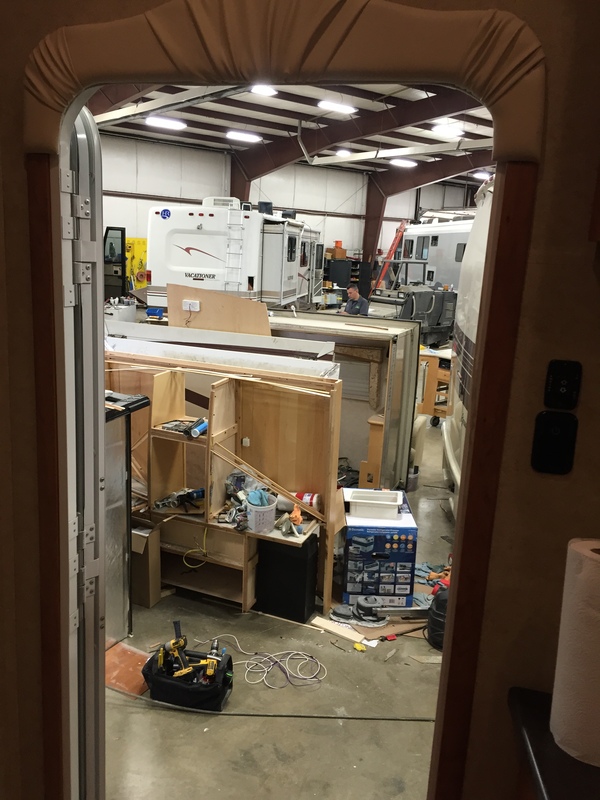 This will be a costly process, so I thought I would include costs on our project for those of you who may be considering an RV renovation yourself. We were given the heads up that the full extent of the damage wouldn’t be known until they started to pull the roof off. That’s where we started last week and the news was not good. The entire rear seam at the end cap had been leaking for quite a long time. 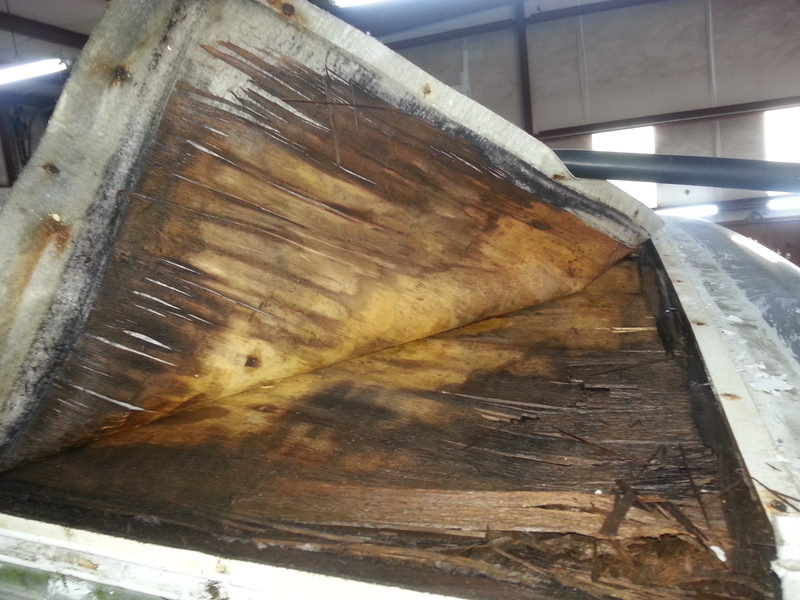 The roof decking was rotted so badly that the wood was reduced to toothpicks. And because of deferred maintenance on the rest of the roof it was leaking along the sides as well. Removing the roof was just the beginning that led to removing the end cap, which led to pulling out the interior cabinets, which led to the removal of insulation in the roof and rear wall, which led to removing the interior walls in the rear, which led to removal of furniture and carpet. Do you see where this is going? Nothing like seeing the entire rear end of your coach exposed to send a wave of regret over your senses. The walls and insulation were soaking wet, which also led to the spread of mold. Once the roof was opened up the smell was overwhelming. Jeff and I both woke at 3AM one morning thinking out loud, “Oh crap. What have we gotten ourselves into!”. This led to a panicked conversation with MasterTech about whether or not we needed to stop the project, cap our losses and move on. But cooler heads prevailed and the guys assured us that we have a quality rig on our hands and that everything is fixable. I have to say, that as most of the fabric, flooring and wallboards came out the smell started to improve rebuilding our confidence to keep moving forward despite some reservation. So (deep breath) here is where we are going with this project. Phase II: Replace all appliances, toilet, roof vents, AC’s, and awning with Dometic & Atwood products. These are items that would not have necessarily needed to be changed as they were still in good condition. However, since we represent Dometic/Atwood and their aftermarket products we felt it was important for our rig to be a showpiece for their awesome line. I am not including cost here since this was purely optional. Phase III: Replace halogen lights with LED’s, flooring, blinds, mattress and possibly furnishings. 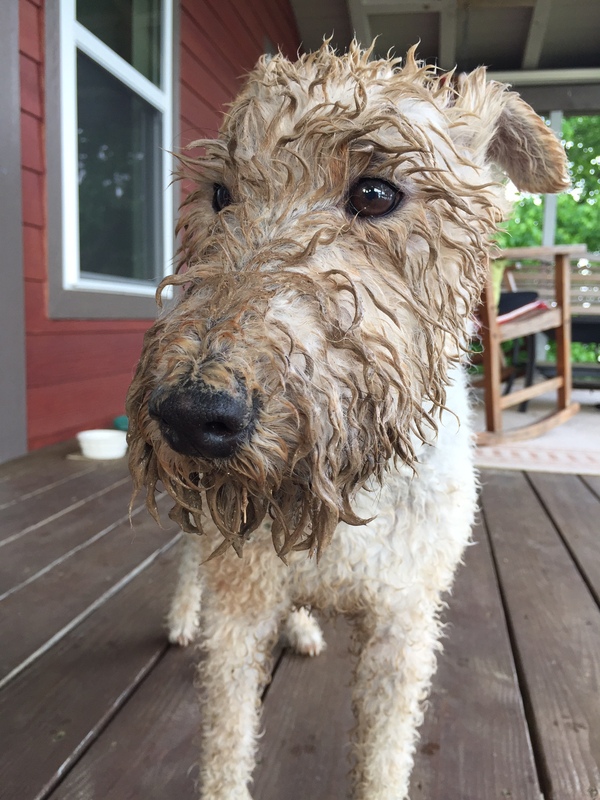 Wet,moldy and oh the smell…ugh! 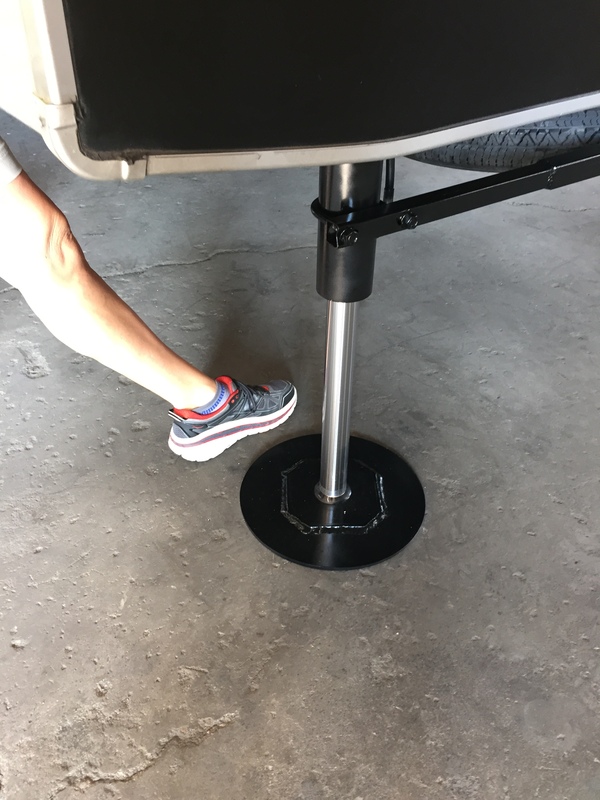 Phase IV: Installing optional items…solar system & batteries, MorRyde stabilizer jacks, hitch, garage trey, outside & inside speakers and other misc items. This will all depend on what transpires with Phases I-III, the costs involved and where we are on the budget. Our goal is to have our projected completed by July 6 so that we can take it to RAGBAI (Bike ride across Iowa). I have to say that it’s been a roller coaster of emotions so far with this project and I have not bonded yet with our Domani. When I can hug my RV (yes, actually hug it) I know I’ve fallen in love. But since she is currently flashing us the moon with her exposed rear end I will wait until she pulls up her pants before going in for some love! Jeff and I are on a two-week road trip for business at the moment. We are making stops in Nashville, Louisville, Indianapolis, Elkhart, back to Indy, St. Louis and home to Arkansas. Since we sold our Edge and are having work done on the Domani we are resorting to hotel stays for this trip. After traveling in an RV for the better part of 8 months and now traveling via hotels, I have to say I prefer our RV much better (of course I would). While in Nashville, we had the privilege of having dinner with one of our favorite authors, Dan Miller , and his lovely family. He has authored books that have been very influential in our lives. 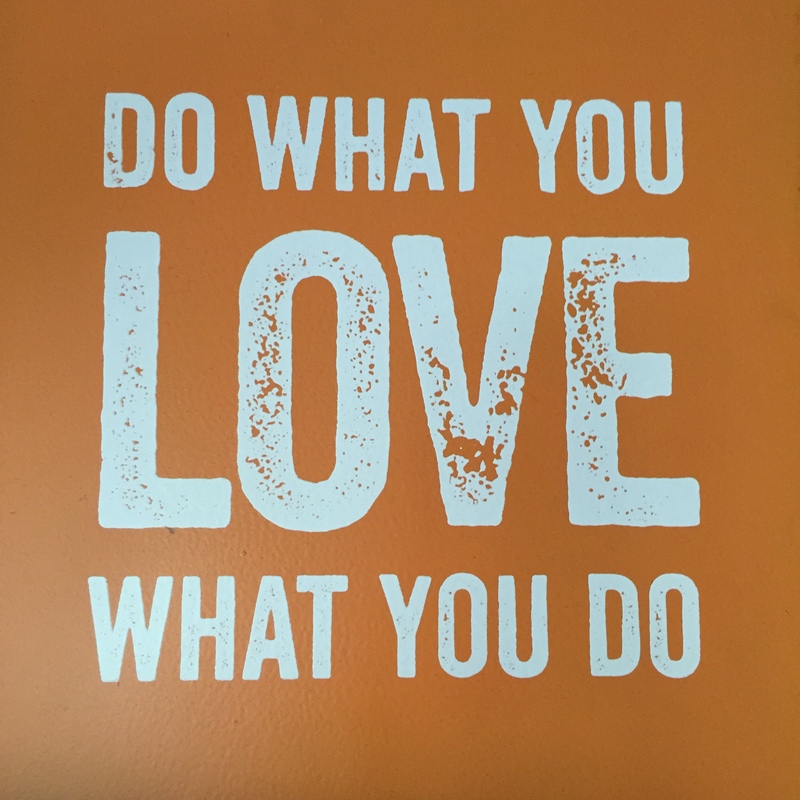 48 Days to the Work You Love, No More Dreaded Mondays, Wisdom Meets Passion, are just a few. 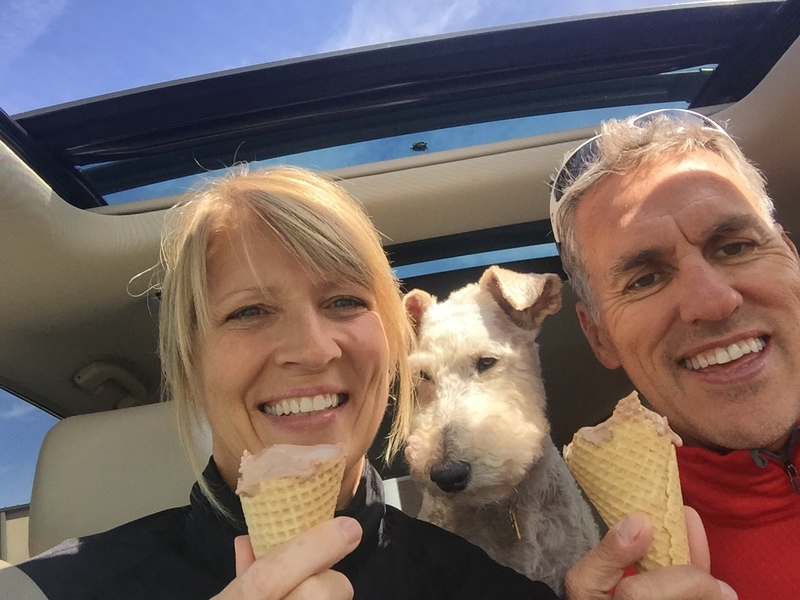 Jeff and I attended one of his Coaching With Excellence weekend workshop 3 years ago which was instrumental in getting us to where we are today…working in the RV industry and traveling this beautiful country both at the same time. OUR DREAM! Dan challenged us to not think of options in terms of “either/or” but “this AND that”. “AND” is a powerful word when thinking of options in life. 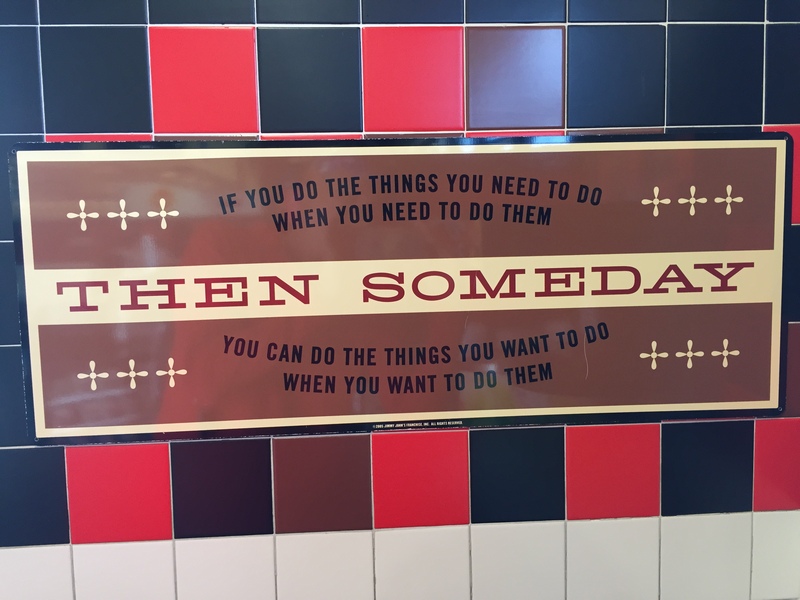 I’ve always thought in terms of…you have to do either this OR that. But Dan challenged us to think in terms of…why not do this AND that. Why can’t you pursue your dreams of traveling in an RV AND work at the same time? It was an interesting question and one we found the answer to by working in the RV industry. We are so thankful to Dan and thankful to have the opportunity to share our appreciation in person! We discovered a new-to-us restaurant called First Watch. They serve breakfast, brunch and lunch. First Watch has a limited menu with rotating items and everything is super fresh and super yummy. 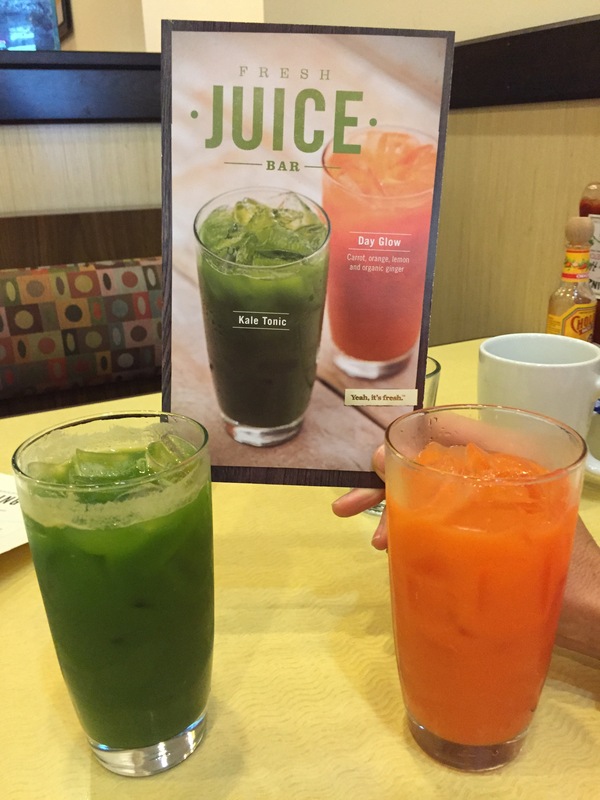 Our favorite was the Kale Tonic (Kale, cucumber, lime, apple) and Day Glow (Carrots, orange, lemon, ginger). Oh so good! Our next stop was in Louisville, KY. We’ve been to Louisville several times, but never long enough to explore. So we headed to the riverfront area of Louisville early on a Sunday morning to go for a run. Part of Louisville’s riverfront is a pedestrian and bike bridge called, The Big Four Bridge. It connects Kentucky with Indiana in less than a mile over the Ohio River. The Big Four Bridge was originally constructed by the Louisville and Jefferson Bridge Company who started construction in 1888. The construction of the bridge was not without it’s challenges. After several accidents and deaths during construction, the bridge was completed in 1895. Unfortunately by then the Louisville and Jefferson Bridge Company was broke. It was sold that same year to the Indianapolis based Cleveland, Cincinnati, Chicago and St. Louis Railway, also known as the Big Four Railroad. The Big Four Bridge fell into disused by 1968 and portions of the bridge were being dismantled by 1969. In 1990 a proposal was made to convert the dilapidated bridge to a bike and pedestrian bridge as part of the Louisville Waterfront Park project. After millions of dollars the Big Four Bridge was re-opened in 2013 to people and bikes. We really enjoyed our run here! We headed further north to Elkhart Indiana making a brief stop over in Indianapolis to say hi to my college girlfriend Sherry. Sherry hiked the Rim2Rim with us last year. 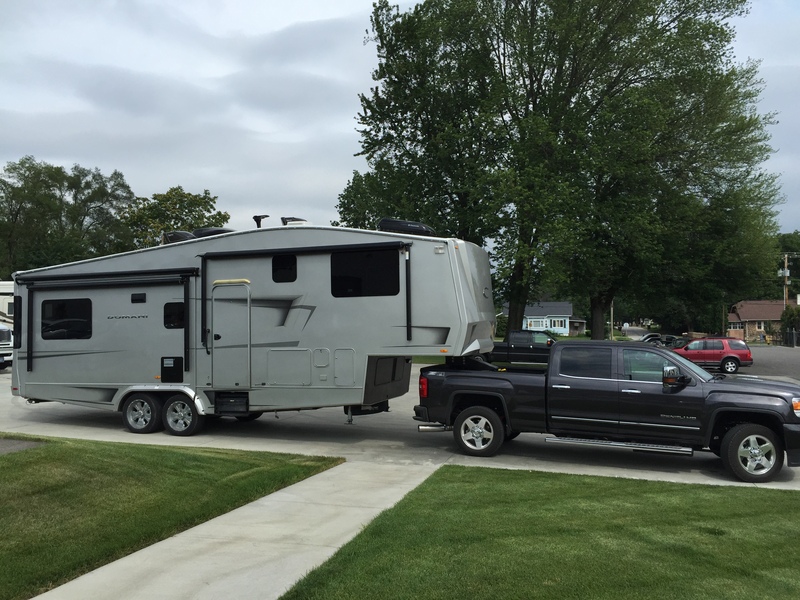 In Elkhart we got our first look at our new-to-us RV, the Domani. I have to admit, I was a bit disappointed. 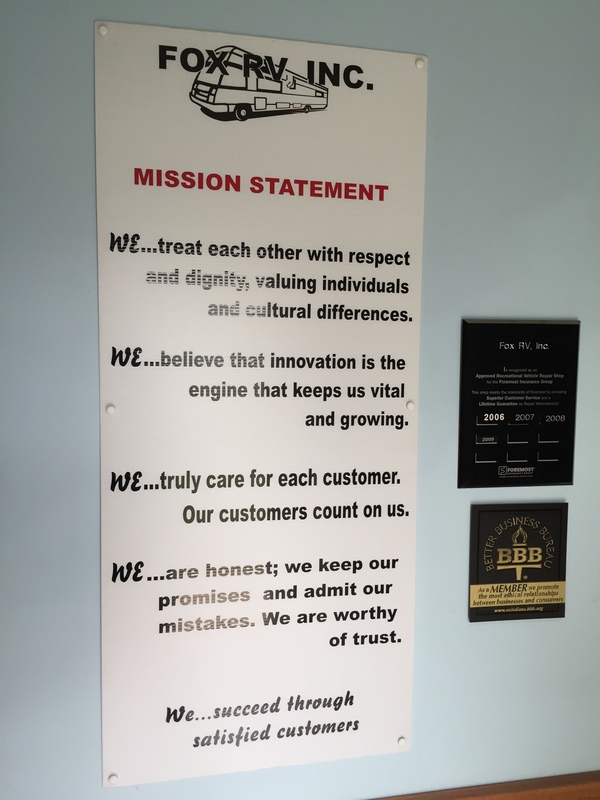 After our discussions with the seller and having our inspection, our expectations were a bit higher than the RV we walked into. Our “hardly camped in” RV had a lot of furniture ware and lingering cigarette smoke that let us know that it had been lived in more than had been disclosed. The new rolling crib will be good as new…we hope! It is going to be a bit more of a project than we had anticipated. But we love the floor plan, size and quality…the rest can be dealt with pretty easily. Thank goodness we bought this thing right! 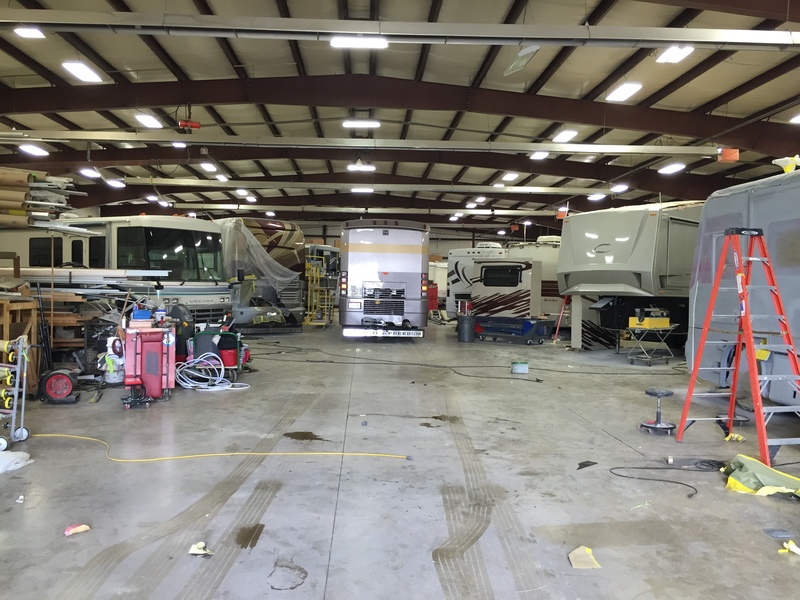 Next week MasterTech RV will start on the biggest project, which is to take off the roof, repair the damage, run electrical and conduit and put on a new roof membrane. Our second priority will be to replace all the flooring in order to help with the smell. We have a $20,000 budget for our entire project so we will see how much our roof and flooring costs us before we make plans for the rest. One of Jeff’s bucket list items is to run a marathon in each state. So while we were passing through Indiana Jeff noticed that Carmel, Indiana was having a marathon. This was his 7th marathon state. 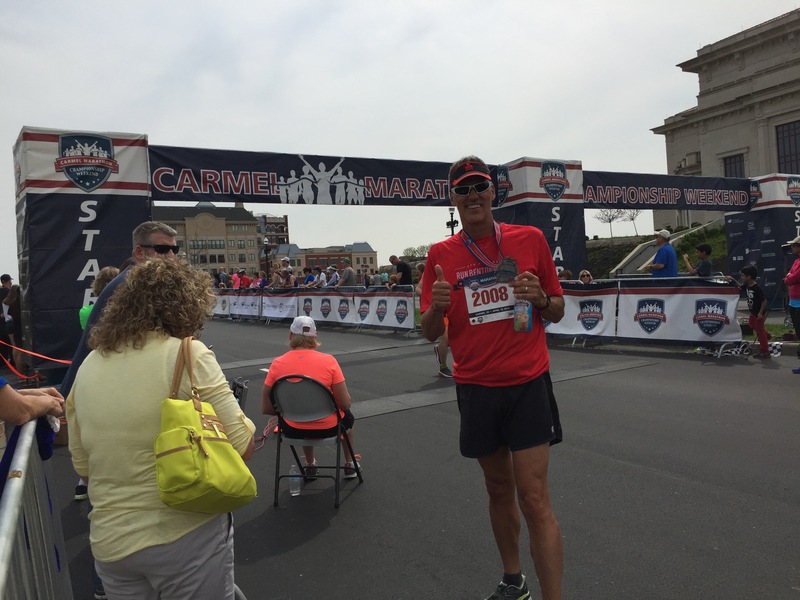 Jeff finishing the Carmel IN Marathon…his 7th state! While Jeff was at the marathon I went with my friend Sherry to a retirement party that one of her running friends was throwing for herself. This was the wackiest and most fun retirement party I have ever been to. It started at 6am for a 11 mile run or 7am for a 5 mile run (you choose) followed by slippers and coffee mixed in with a 10 minute core workout, 10 minute weight workout, 20 minute message, then hot tub soak, sauna and brunch. All before 10AM. It was so fun that it was decided by the group that she needed to throw a quarterly retirement party for herself going forward! We have one more leg on our journey home. We are looking forward to getting home and staying in one spot for more than 2 nights in a row. 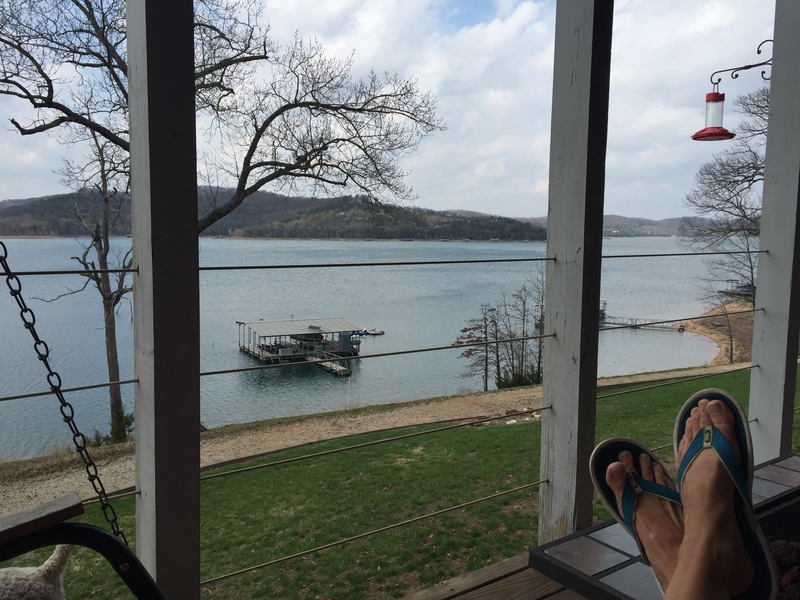 Beaver Lake, AR. Not a bad spot to spend a few months. 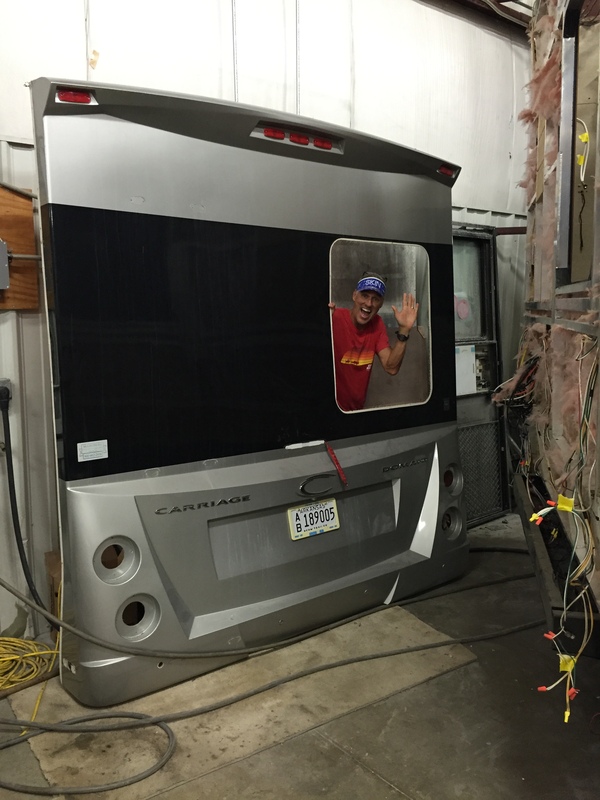 We sold our camper…the Ironman Can! It was a hard decision especially since our 21’ Heartland Edge served us so well. Except for some insulation, we lacked for nothing on our epic trip out west. Yes, things were cozy at times especially when I wanted to stretch out my 6’ frame doing yoga on a cold morning inside the camper. But the time came for something a bit more…sturdy. Saying goodbye to the Ironman Can. Our Edge was a “lightweight” not designed for heavy use or 4-season camping. And as we fell in love more and more with the RV lifestyle we new that our little camper would have to go. We couldn’t have had a better first camper and she served us well. 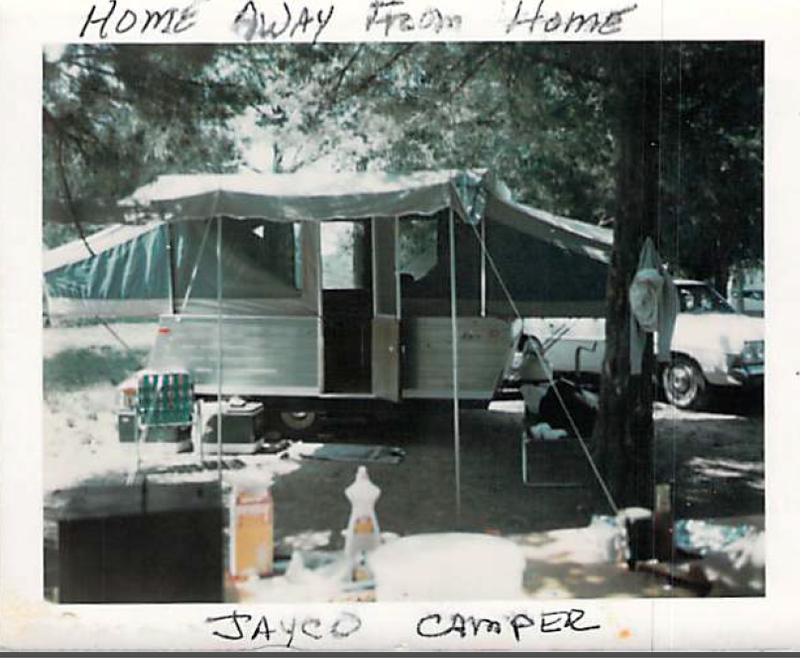 Starting with a camper under $15k to test the waters was the right thing to do before investing in a more expenses “home” that we weren’t sure would just sit out in the back yard. So what’s next? 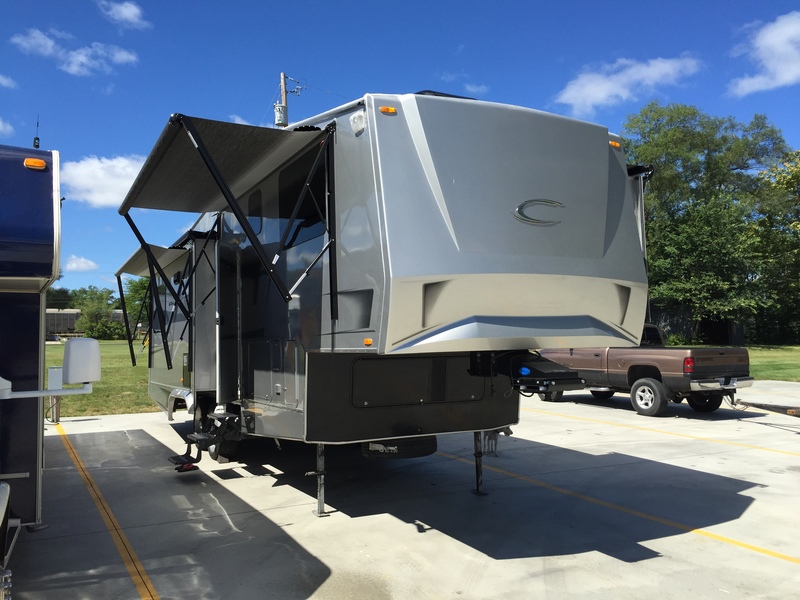 Well, we are the official new owners of a 2009 Carriage Domani 32’ Fifth Wheel. What is a Domani? 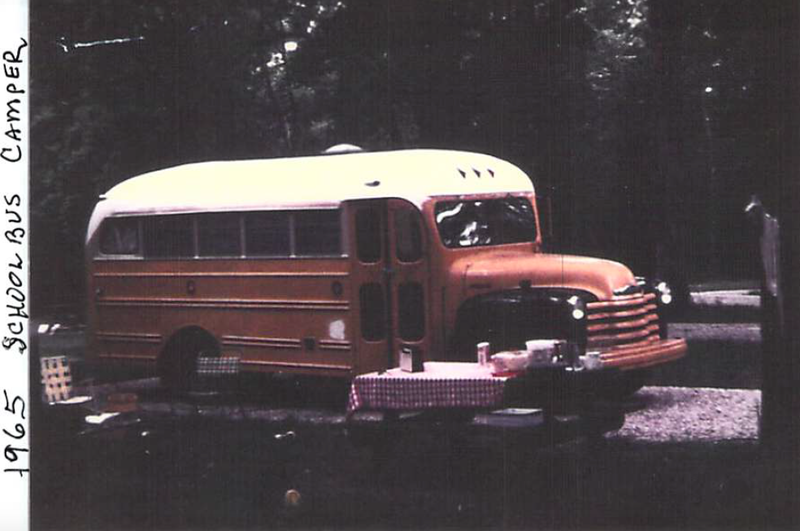 It is a RV that we stumbled across on our search for a good quality, four seasons rig under 33 feet. New name TBD. Any ideas? 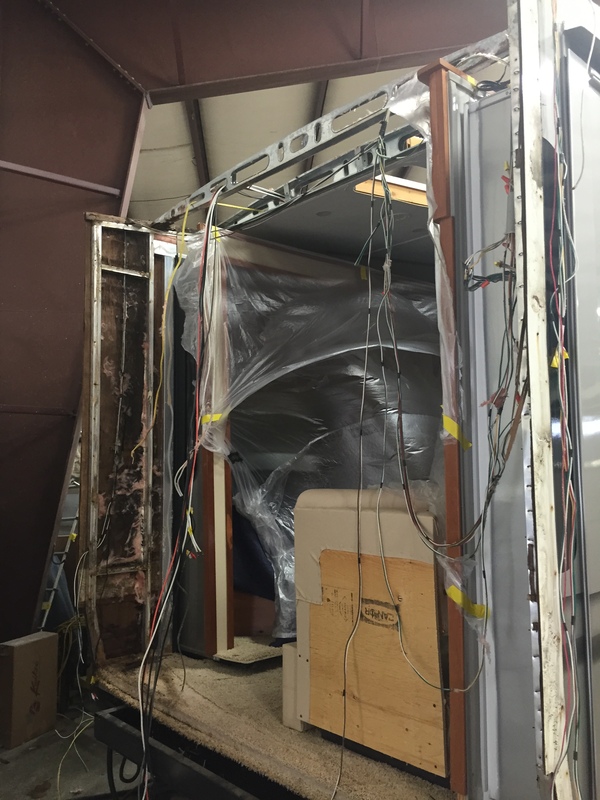 If you ever try to find a HIGH QUALITY RV ANYTHING under or around 30 feet, you will discover this is no easy task. We seriously considered an Airstream after spending some time with the hip Airstreamer’s in the desert of Borrego Springs. 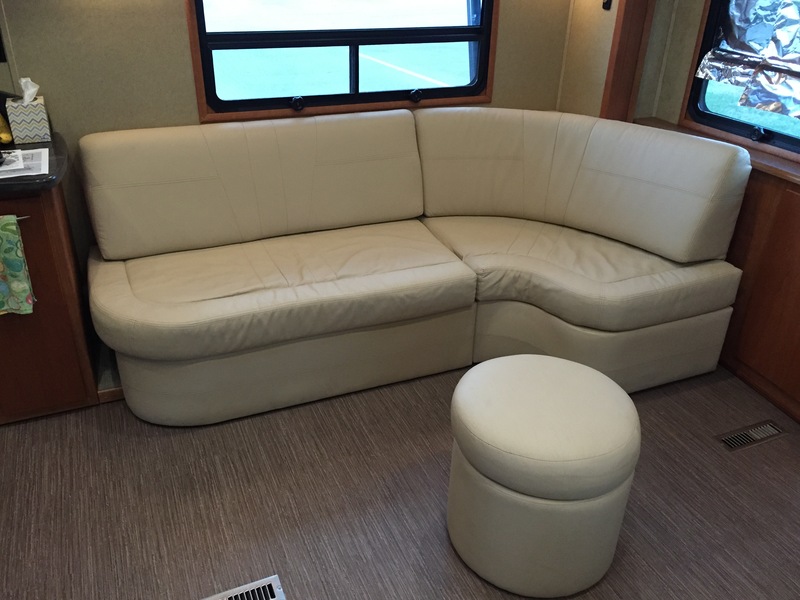 We went so far as to use our RV business connections to try and get some vendor pricing for a 2015 Serenity. But with the hefty price tag, minuscule storage and low headroom shower compartment for our 6’ and over bodies, we just couldn’t pull the trigger. At the same time we had found a Carriage Domani that we were able to look at on our drive back to Arkansas. After seeing her sleek modern lines, 20” rims and accompanied clearance (can you say off grid goodness? ), that glorious storage compartment and big holding tanks, the Airstream lost its sparkle in a hurry. Of course the $75,000 price difference helped with the decision, making the Domani the clear choice for us. 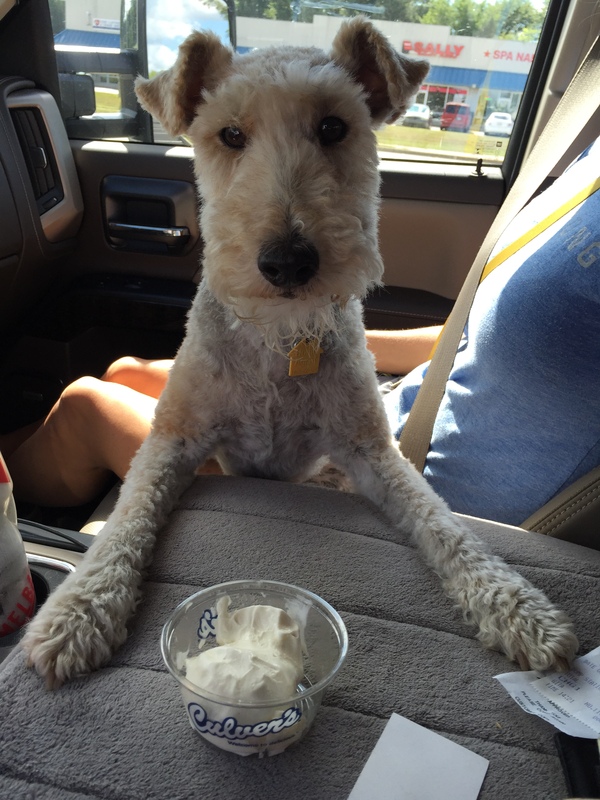 We are still in the process of getting our new-to-us RV, as you will read in a coming post. 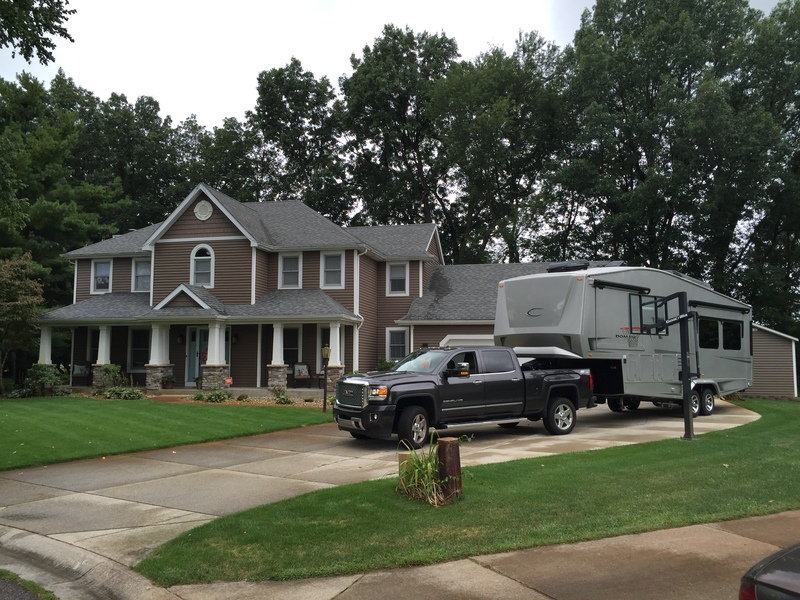 But through this process of buying/selling /buying we have learned a few lessons about buying an RV. After you decide on a budget and the RV you want, don’t be in a hurry. Do your homework and educate yourself on what a good deal looks like. NADA priced the Domani at around $65k. The Domani we looked at in Texas was originally $41k and they would have taken $38K. We didn’t pop because it was a consignment and the cheesy salesman really turned us off with his old school sale tactics. We kept looking and found another for $31K from a private seller on RVTrader.com and they accepted our offer of $30k. 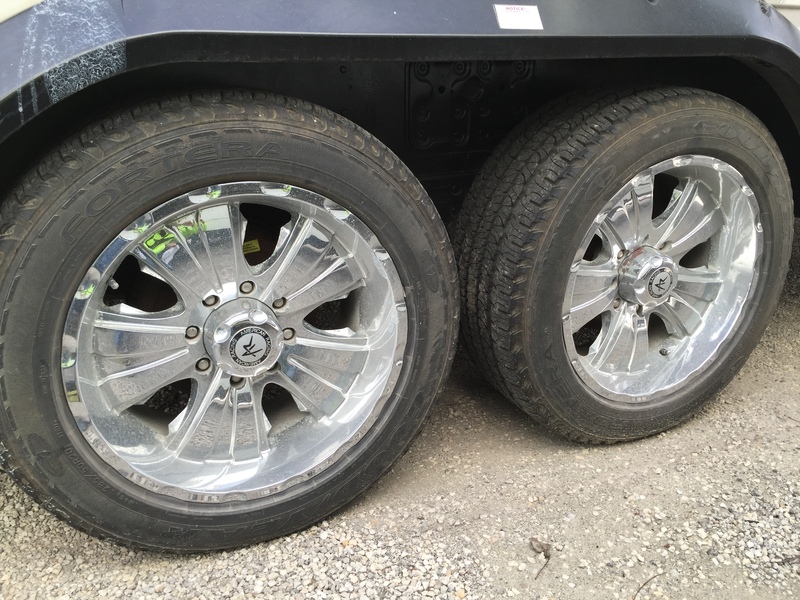 Buy used…especially if it is your first RV. 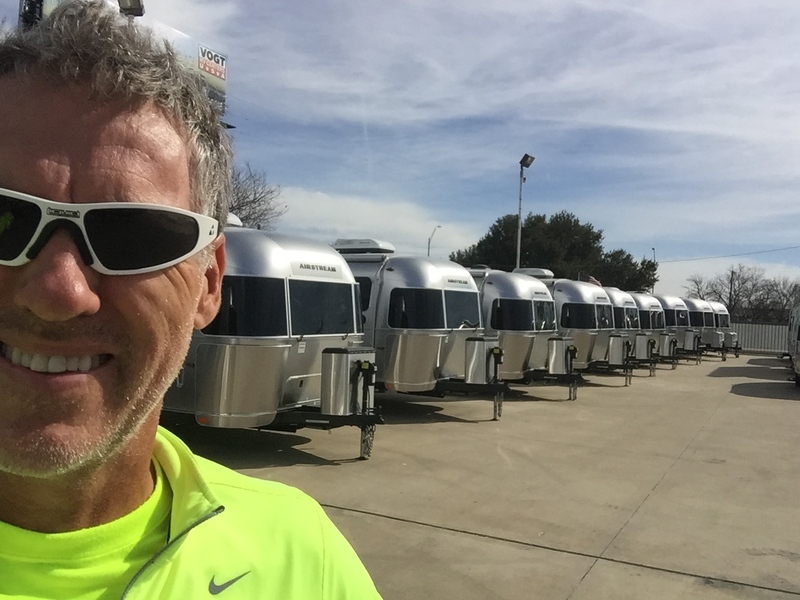 I’ve read to not spend more than $20k (I might even say $10k) on your first RV, because inevitably you will find what does and doesn’t work with the first RV…which then turns into a second, third and fourth one. 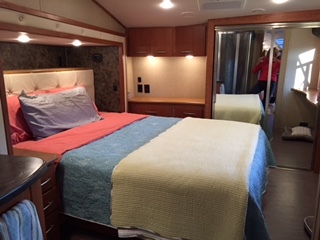 We were so surprised by how many RV’ers trade up or down. Frequently. (Even Jeff and I are trading after 2 years) Let someone else take the hit on the depreciation, find out how much you will use it, and find out what you like before spending a lot of dinero. Pay for an independent inspection. This will run you about $500. Since our Domani was in North Carolina and we were in Arizona at the time, we actually paid $150 to have the Domani hauled to a reputable dealer and have it inspected for $500. Even though the very nice sellers assured us that the RV had never been camped in and it was in impeccable shape our $650 discovered about $5,000-$7,500 worth of water damage and another $800 of non-working items. The inspection also confirmed that the RV was never used. Everything else was pristine…like a time capsule that had been shrink wrapped for 6 years. Don’t shy away from a project. At first we were going to cut our losses and walk away. But after speaking with two different repair centers, we were reassured that the roof repair could all be fixed back to perfection for years of leak free use. Yes. It is an expensive process. So back to the sellers we went with a new offer of $25k, which they gladly accepted. 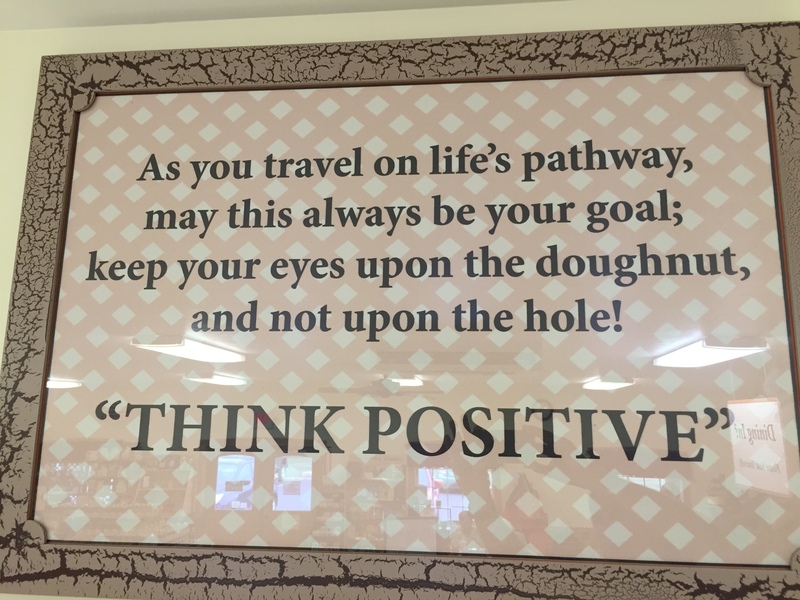 Use a negative to your benefit. Not only did we negotiate for a cheaper price, but we are also using the roof issue as an opportunity to run our upgraded wiring for technology and solar. This is a challenge to do when you are sealed on top and bottom of an RV. So this is a great time to run cables to make this a Smart RV for the future. Are we happy with our purchase? That is a question for our next post….she says with a dramatic laugh! Wooohahahaha…. You are currently browsing the archives for the Buying A RV category.